In an interview with the now defunct Kludge Magazine, Richard D. James (aka Aphex Twin) stated, concerning Radiohead, “I wouldn’t play with them since I don’t like them.” So, some small part of that mindset must have given way because for the last two nights, James shared the stage in Wroclaw, Poland with Radiohead guitarist/music extraordinaire Jonny Greenwood alongside legendary avant-garde composer, Krzysztof Penderecki. Two performances were held at the European Cuture Congress; night one devoted to Greenwood and Penderecki, night two to Aphex Twin and Penderecki. Both Greenwood and James performed their own original compositions alongside their re-works of Penderecki’s original classics from his early 60s compositions. 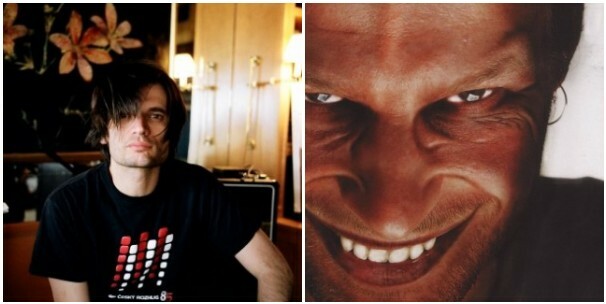 Greenwood debuted “48 Responses To Polymorphia”, while Aphex Twin debuted “Threnody for the Victims of Hiroshima Remix” and “Polymorphia Reloaded”. We have clips from the concerts below, followed by the program setlists for each night.